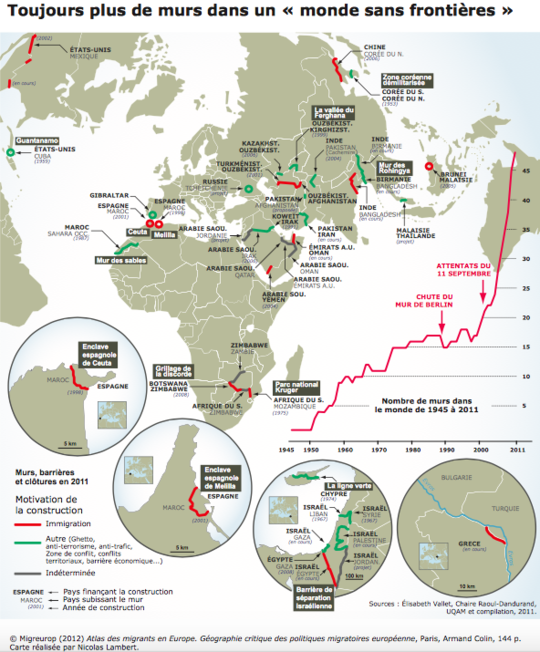 Nowadays, 41 separation walls exist around the globe. One of them was erected in Belfast, Northem Ireland. Educational kit on the theme. On the 9th of November 2014, we celebrated the fall of the Berlin wall. However, another 41 walls still separate populations all over the world. Our main concern is for the Education Community. In our History classes the students study the Berlin Wall to some degree but what about all the other walls? As the subject of our Thesis we would like to make an Education Kit which would enable teachers of the last 2 years of High School (16-18 year olds) to address this theme in their class. cards, games etc...in the kit. The kit’s main element will be our documentary film on the Belfast case which will be shown at the “Cinema Galeries” in Brussels. We have chosen to illustrate the theme with the situation of the Peace Lines in Belfast, Northern Ireland. Since 1972, catholic and protestant communities have been living walled in, each in their own community. Even though the circumstances have evolved, the segregation is still going on. After a first trip there in January, we we have been wondering and questioning ourselves about this situation. To what degree has this wall influenced the xenophobic feeling among its inhabitants? By collecting our testimonies on the spot on the reality of life in Belfast, we will be able to feed our Educational Kit . After 6 months of research and reflections, we have acquired quite a good knowledge about the issue. After we first went to Belfast, we met inhabitants, artists, professors and authors and they all volunteered to help us with our project on our return at the end of June. We made our marks, it is now up to us to make the best of this great opportunity. Since the 90’s, the immurement phenomenon is gaining ground around the world. If walls appear as a short-term solution, it should be noted that they reinforce xenophobia towards the Other in the long-term. Communities shut themselves away and polarise their positions in the conflict, preventing any constructive dialogue. Our educational kit is destined for teacher in Morals, Geography, English, Social Sciences, Religion and/or Philosophy. To meet interdisciplinary perspective, the content will be variable; the approach could be adjustable to different programs and skills asked at every class. We want to bring up the reflection about immurement, separation and fear of the Other among young people. As actors of the change, they have to become aware of the extent of the phenomenon and that a fairer society is built by dialogue and not by exclusion logic. To ensure a better distribution of our kit, Annoncer la Couleur, a Federal Program of Education to World Citizenship has become our partner. The Program offers teachers original and participatory teaching methods to approach questions of citizenship with young people. They are following our project as we are carrying it out. We are also in contact with several secondary schools ready to experiment with our kit. 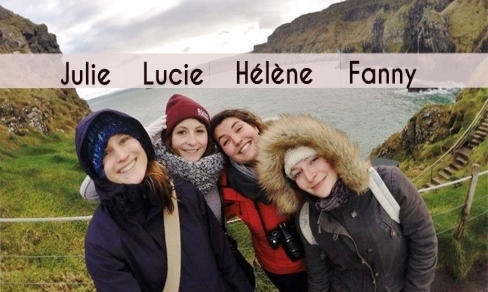 Students in Master 1 of Sociocultural Development and Permanent Education at IHECS, our common passion for the theme has gathered us around this ambitious project. As we are concerned by the respect of human rights and individual liberties, this project is a cause close to our heart. Julie and Fanny are very comfortable with the shooting while Lucie would rather take photographs and Hélène is good at editing. It is by combining our assets and personal skills that we are going to complete the project successfully. “I’m a really talkative person and get distracted easily. I’m curious and passionate about communication. I aspire to changes, and I like to believe that my course subject “Permanent Education” is a field where we can make it visible and possible. I’m always optimistic, maybe sometimes too much. For this project, passion, group energy, desire, everything is there. I also like contact with people a lot, and I’m quite organised. I’ll be efficient for everything that concerns handling interviews, ask questions, making sure that everything goes perfectly and in the best conditions. This practical application of our previous years of study is an enriching moment, and I feel ready to accept the challenge to end this training on a high note, by putting together a cultural, educational project, one that creates awareness about sensitive issues in the world." “After much hesitation between journalism and the sociocultural field, I am now convinced that I’ve made the right choice. This sector pushes us to excel and show creativity. The public we aim to sensitise is really responsive and that motivates me to carry out this project. Eager for discoveries, these young people keep on surprising me. The globalized world in which we evolve is full of paradoxes and questions. 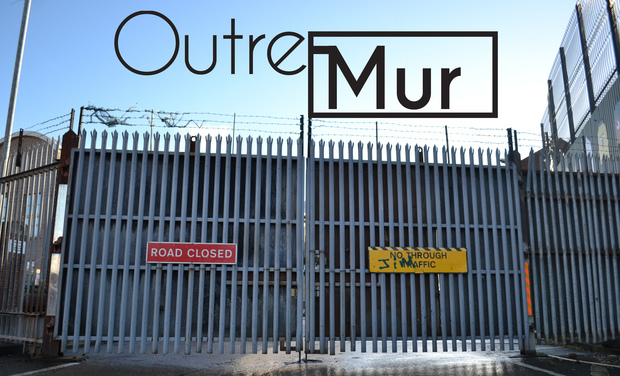 Is the building of walls a consequence of that indirect need for isolation due to globalization? A few months ago, I wasn’t even aware of the extent of the phenomenon. I’m taking an avid interest in this subject and feel highly motivated! Thanks a lot ! Your name will appear on the credits at the end of the documentary + we’ll send you a postcard from Belfast ! Waw, thank you very much ! In addition to having your name on the credits and getting a postcard, we will send you our documentary on DVD. THANK YOU VERY VERY MUCH ! 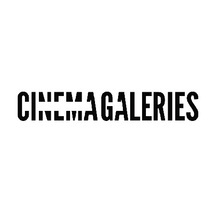 In addition to the previous compensations, you’ll get an invitation for two to the first screening of our documentary at Cinéma Galeries in Brussels, followed by a drink. How generous of you ! Thank youuuuuuuu. We’ll give you all the previous compensations as well as our entire educational kit. In addition to this, we’ll write your name on the Peace Walls in Belfast ! You are a terrific contributor ! Thank You Thank You Thank You ! You’ll get all the previous compensations and furthermore, one of our most beautiful A4-size pictures. Thank you a thousand times ! You’ll receive all the previous compensations and you’ll be invited to a traditional Northern Irish dinner prepared by ourselves.